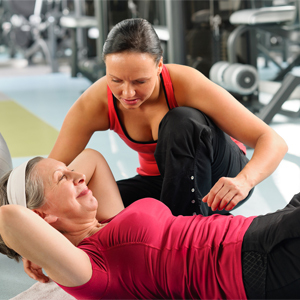 At NutriFit Clinic we are proud of our proven track record in senior fitness personal training. 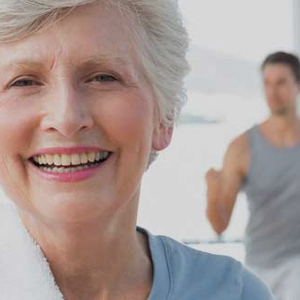 We don’t believe that age should be a barrier to keeping fit and leading a full, active and healthy lifestyle, in fact to us age is merely a number. Our range of Young at Heart programmes assist clients in their senior years with safe, effective exercise techniques that stimulate both mind and body. The emphasis is on results that improve strength, mobility, functional movement and energy. We understand that the senior years can be a time where health problems creep in. 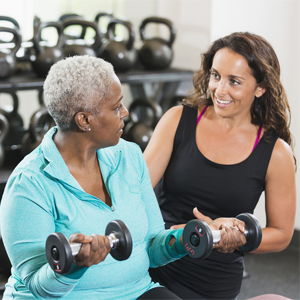 Whether related to the natural ageing process or specific conditions including diabetes, heart disease, arthritis, high blood pressure, posture, back problems and cancers we are experienced in prescribing finely tuned exercise coaching that is fit for purpose. Our Young at Heart programmes are carefully tailored to suit your personal needs and goals. We are experienced in working with a range of medical and health practitioners to ensure our approach fully supports our clients overall healthcare. Whatever your personal challenge we are here to help offering a discreet, friendly and private service tailored to meet your needs. We don’t believe in going for the burn, pushing exercise hard or that a workout should leave you exhausted. Instead our Young at Heart programmes focus on exercise for client led results and leaving you feeling energised with improved wellbeing. Choose from our range of packages to suit your budget and the time you can commit. We will also advise you on the programme we feel is most suitable based on your needs and the results you are looking to achieve. Think that you’re too old? Our oldest client is 97! It all begins with a friendly chat so we can get to know you, understand the objectives you have in mind together with any current challenges. We’ll ask you to complete our lifestyle questionnaires and where appropriate seek your consent for pre-exercise referral to your health care team. From here we formulate a clear picture of your individual needs ready for your first appointment. Here we’ll chat through our findings and agree on the best Young at Heart programme to achieve your goals. Our Young at Heart programmes are designed with your objectives firmly in mind. Whether it’s looking after grandchildren, special holidays, health maintenance or something else as you see results we are fine-tuning our exercise prescription to ensure continual progress. As you accomplish your goals we focus on maintaining results for the long term. To start your journey towards a healthier, fitter you book an initial consultation or choose from our tailored Energiser, Vitality and Be Your Best packages, carefully designed to suit the needs of our senior clients. 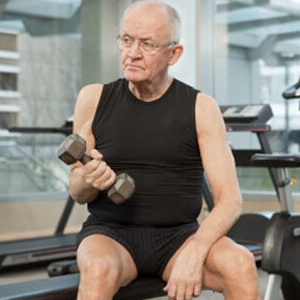 If you’re committed to transforming the way you look, feel and function our Young at Heart programmes offer a range of personal training services for our senior clients. 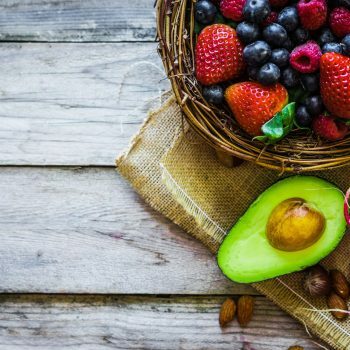 Find out how NutriFit Clinic Young at Heart programmes can make a difference for you today.